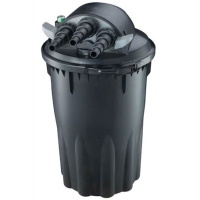 PondXpert 4 in 1 Pond Maintenance Set: Pond Cleaning: Pond Accessories - Buy pond equipment from Pondkeeper: fishing out the best deals on the net. 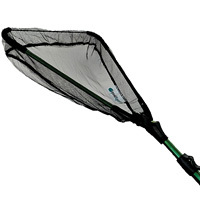 Save £5 on this highly versatile 4 in 1 combo pond net kit. 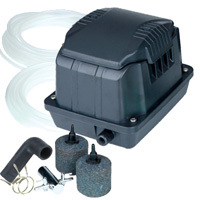 What a versatile pond product! It's a skimmer net for fallen leaves & surface debris, a tough brush which is ideal for keeping waterfalls and liner clean, and also a deep catching net that is particularly ideal for fish. Pack contains 3 great interchangeable heads and 1 sturdy telescopic 1.8m pole. This is the only net your pond will ever need. 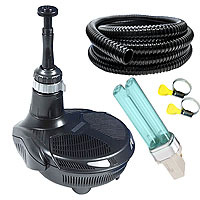 The telescopic pole is extremely lightweight and well manufactured. Great item, well made an sturdy. well made, stronger than expected, very pleased with my purchase.